I have a confession to make – I’ve developed a deeper appreciation and interest in the Old Testament, and it’s deepening my reading and understanding of the New, especially of the Gospels and of Paul’s letters. It has also radically re-aligned my understanding of one of the most important practices within Christianity since it’s foundation – the Communion or Eucharist. This is partly because I’ve been reading a lot of OT scholars of late, but also because of Richard Hays’ enlightening work in “Echoes of Scripture in the Gospels” about making use of metalepsis when reading OT quotations one finds in the NT. By metalepsis, Hays simply means that when one sees a verse of the OT quoted in the NT, do not just look for the corresponding verse in the OT and be satisfied, but rather read the whole OT chapter or chapters from which that one verse was obtained and quoted in the NT. Following that advise has wrecked my theology of Communion – but only for the better. So let me share with you how metalepsis has challenged my understanding of Communion. Years ago I simply thought of this as an injunction to strengthen my personal relationship with God via much bible study, prayer, church activities and a zeal to be obedient to God’s laws as found in the Bible. Of course, having been brought up a Pentecostal, such an individualist interpretation of this passage is well within acceptable bounds and will be common to many readers of this post. But going back to read and reflect on Deuteronomy 6 where Jesus quotes this from yields a much more interesting interpretation than most will be used to. If one reads the above passage from any good bible, one might see a footnote that points to Deut 6:5 as the source of Jesus’s quotation in Mt 22:37-38. 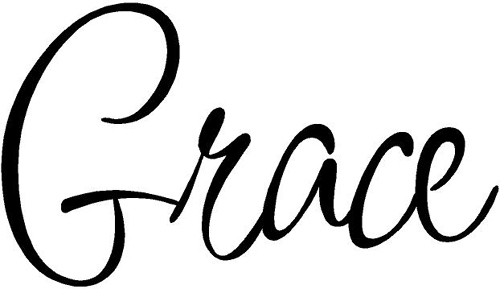 What many readers of the bible may not know however is that Deuteronomy 6:4-9 is the foundation of a famous prayer called the Shema which was recited by Jews in Jesus’s day and is still recited by modern day practicing Jews as well. You can find out a bit more about it here. The fact that Jesus was quoting from the Shema is more obvious if you read Mark’s account of the interaction (Mk 12:29-34), which starts off with “Hear, O Israel…”, exactly as the opening line of the Shema. Reading the whole of Deuteronomy 6 however, I found that the primary concern of Yahweh giving that commandment to love him so wholly was tied to something I’m discovering more and more all over both the OT and subsequently, seeing it’s footprints in the NT – Yahweh had a covenant relationship with Israel, who in their Ancient Near Eastern (ANE) culture were surrounded by many neighbouring nations who worshiped many other gods. Therefore this injunction to love Yahweh with their heart, soul and mind was a covenant reminder – a reminder not to go chasing after those other gods. Check out some subsequent verses in Deut 6. Note that the consequence of following those other gods were not just personal. This injunction was about the fate of the nation Israel, not about an individual’s own punishment. I also began to notice that many of the commandments in the Torah are prefixed or suffixed by a reminder that Yahweh was the one who delivered them from Egypt (or the one who created the world) and hence the only one they were to worship (Ex 20:1-3; Deut 5:6-7; Lev 26:13-14). Many of us modern readers may miss the seriousness of this injunction because we tend to have separations between our religious convictions and our day to day interactions with people around us, but in the ANE world, everybody’s religious beliefs were part and parcel of their lives and all activities, including how they related to other neighbours. Having one’s “personal” or “family” gods in addition to national gods was the norm, not the exception amongst ancient Israel’s neighboring nations with whom they interacted regularly. Hence what Jesus calls “the greatest commandment” was a commandment to Israel mainly to remind them to avoid unfaithfulness to Yahweh and switching their loyalty away from him to other gods. It was a covenant reminder. In a culture that was surrounded by many gods, an intentional effort was needed to remind them of the one Creator god with whom they had a special relationship as a nation. Hence the encouragement not just to love with all their minds, heart and soul, but additionally to “impress them on your children”, “tie them as symbols on your hands” etc etc. As with all outward showings of belief aka rituals, doing these things were not a guarantee of one’s love for Yahweh, but a means to remind oneself of who one was vis-a-vis one’s God. Unfortunately as with all outward expressions of inner belief, sometimes the rituals themselves gain a life of their own, leaving what it was supposed to remind us of itself behind. This is exactly the case by the time Jesus arrived on the scene, but in addition this has been the bane of all religions, Jewish, Christian, Islam, you name it. Too many of us find our comfort in our symbols rather than what they are supposed to represent. Having been directed to the importance of covenant in understanding the death of Jesus Christ by Michael Gorman of which I wrote about here, my mind immediately saw the link between “The Greatest Commandment”, and the wine of communion. When Jesus picked up the wine to share with his disciples, he called it “the blood of the covenant” (Mt 26:28 NIV) and “new covenant in my blood”. In this process, Jesus was not only evoking the “blood of the covenant” in Ex 24:8, he also invoked Jeremiah’s prophecy of a “new covenant” (Jer 31:31). Mulling this over, I came to the following conclusion. Drinking of the communion wine is primarily an act reminding us that we the gathered people together are in a covenant relationship with God. It is a reminder to uphold the 1st great commandment – to not follow any other god but Yahweh, who has revealed himself in the person of Jesus Christ. Which brought me then to the subject of the bread. I’m yet to find any Old Testament linkage of Jesus’s use of the bread to signify his body. However, looking at Paul’s epistles and his statements about “the body of Christ”, it seems to be that the bread then stands for the unity of the participants gathered as one people of God. Paying better attention to the full context of Paul’s injunctions in 1 Corinthians 11:17-34 then, one sees Paul’s rebuke of disunity in the body of Christ at Corinth as manifesting itself in how they actually didn’t have “the Lord’s supper” , but rather were eating individual meals (v 20-21). And given that the whole NT is emphatic that love of God must lead to love of brother, I came to the second conclusion. Eating the communion bread is primarily an act reminding us that we who are gathered are one in the body of Christ, accepted by grace and of equal worth before God. Just as the unleavened bread used in the Passover during Jesus’s last supper with the disciples, we are indeed holy and set apart for his purposes – that of being a royal priesthood and a holy nation for the benefit of the world. We are made up of Jews, Gentiles, slave, free, male, female, Ewe, Akan, Dagomba, Fante, American, Chinese, Yoruba, Igbo etc. Nothing must divide us, because nothing can separate us from the love of God which we already confess by taking the wine. It is a reminder of the second greatest commandment – love your neighbour as yourself. Following from these 2 conclusions on Communion, it became more obvious to me the futility of building Christian unity without prioritizing what Jesus explicitly commanded we must do regularly – communion and its associated Christian fellowship. As I put on my Facebook wall recently, Jesus never said “when you meet, have bible discussions in remembrance of me”, but rather speaking of communion, he says “do this, as often as you drink it, in remembrance of Me”. As Scott McKnight pointed out recently whiles reviewing Christian Smith’s “The Bible Made Impossible” (a book I enjoyed myself and highly recommend), it is impossible to build unity around unity of biblical interpretations, and the abundance of divisions between many churches all claiming to obtain their authority from “Scripture only” is clear evidence to that fact. Unity built on “doctrine” and biblical interpretations is only possible among those who hold the same thoughts on these kinds of matters, which renders the concept of Christian unity quite unattainable. Isn’t it genius of Jesus to use the one practice he commanded us to do regularly to also serve as a means to remind us of the 2 Greatest Commandments? 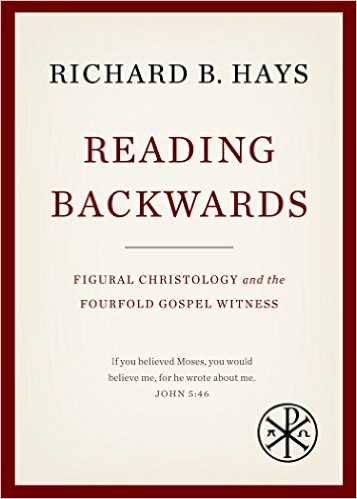 I finished reading Richard B. Hays’ “Reading Backwards” last week, and on an ordinary day, this blog post should be a review of the book. But these are not ordinary days, and Richard Hays is no ordinary New Testament scholar. And so with him as a conversation partner (more like mentor), I’ll like to address a problem that I’ve encountered within the church when we talk of Jesus “fulfilling” prophecy, and for which I’ve written about indirectly on this blog before. It is standard teaching within every church I have ever attended in my short lifetime that Jesus’s life fulfilled many Old Testament prophecies, and if the people of Israel had been paying attention, they would have accepted Jesus as Messiah. This is one of the “defenses” that is employed by many people eager to defend Jesus and the Bible from criticism. But many have pointed out – and any serious unbiased study shows – that the ways that the writers of the Gospels make use of the Old Testament to paint a picture of Jesus’s can sometimes seem as if these Evangelists (i.e. writers of the Gospels) are misquoting scripture to support their point. Unfortunately, many people – especially those unfamiliar with history and context of 1st century Judaism – are unwilling to consider this criticism because of its implications to their Christian faith. Some friends I have spoken to have indeed expressed this disquiet to me, but others simply ignore this dissonance in favor of a dogmatic defense of the Evangelists’ usage of the Old Testament. After all Paul says that the events of Jesus’s life happened “according to Scriptures” (1 Cor 15:3), and the matter is ended by simplistically pointing out proof-texts that the Evangelists quote from the Old Testament. But what if there actually is a way to acknowledge these difficulties, whiles still making sense of this usage pattern of the Evangelists? Along comes Richard Hays and his adoption of the method of figural reading of the Old Testament. In this book, he applies it to focus on Christology (Jesus’s divinity), and the results are stunning!! He traces far more passages than many standard proof-texts used to defend Jesus’s divinity, and so we’ll look at a few of them to see whether we can understand how and why the Evangelists (and Jesus) used the Old Testament the way they did. Hays sets the tone with the following statement, explaining how figural reading (aka reading backwards) is different from prediction. “There is consequently a significant difference between prediction and pre-figuration. Figural readings need not assume that the OT authors – or the characters they narrate – were conscious of predicting or anticipating Christ. Rather, the discernment of a figural correspondence is necessarily retrospective rather than prospective” (pp 2, my emphasis). The embodiment of Israel itself. Jesus’s usage of language regarding being “the vine” and his disciples being the “branches” in John 5 is language that the Old Testament uses to speak of the nation Israel e.g Isaiah 5:1-7. The embodiment of Yahweh. 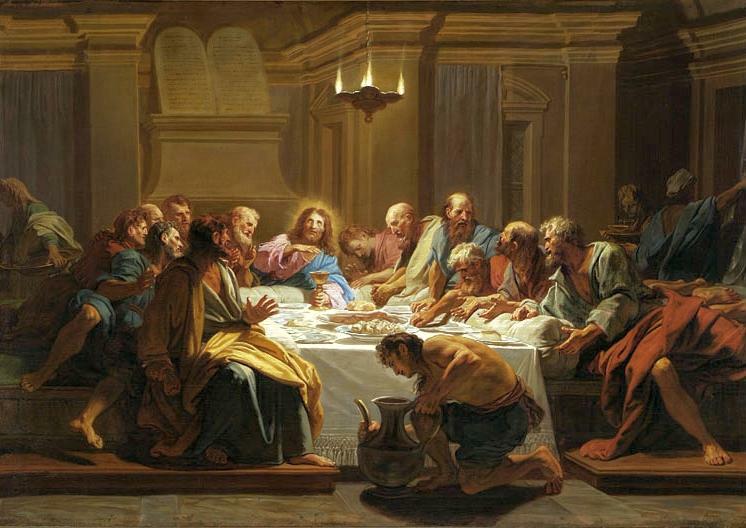 In Mt 12:6, whiles defending his “abuse” of the Sabbath, Jesus states that “something greater than the temple is here”. To make life easier, I quote Hays. The replacement of the Temple. In 1st century Judea, the only legitimate place that one could go to receive forgiveness of one’s sins was the temple with it’s high priests and its sacrifices, and yet Jesus goes about telling people “your sins are forgiven”. Not only does Jesus become a “mobile temple”, he further calls down judgement upon the existing one in his act of scattering the tables of the money changers and driving away the merchants there, quoting Isaiah and Jeremiah (who prophesied the destruction of the 1st temple) to boot. “The disciples on their way to Emmaus had already heard it reported that Jesus was live, but because they did not know how to locate this report within Israel’s story, it seemed a curious and meaningless claim” (pp 16). Therefore the Evangelists (Matthew, Mark, Luke & John) were no longer reading the Old Testament with a simple one-to-one correspondence between what the OT said and what Jesus did – they were wearing a multifaceted lens to discover patterns of a multifaceted person that an ordinary Jew of Jesus’s day largely WILL NOT have understood. The Evangelists were “reading backwards” from the event of Jesus i.e. they were doing a figural reading. In fact, the Gospel of John makes this very explicit. So let’s look at some examples of how figural readings explain some ways in which Jesus didn’t “fulfill prophecy”, but actually DID fulfill prophecy. Are you confused yet? Matthew is the most “problematic” when it comes to statements about Jesus fulfilling prophecy. There are about 15 statements in which this Evangelist explicitly points out that Jesus fulfilled a prophecy by a certain action. Hays points out that this has somehow blinded many readers to the more than 100 allusions to OT prophetic fulfillment simply because he didn’t put the words that say those actions of Jesus fulfilled prophecy. “When Israel was a child, I loved him, and out of Egypt I called my son” (Hos 11:1). It doesn’t take a rocket scientist to tell you that Hosea is not talking about a singular person, but about the nation Israel being rescued through the exodus by Yahweh. If you dispute it, just read the rest of Hosea 11. So on the plain surface of the reading, good old Uncle Matthew has certainly “proof-texted” scripture to “prove” his case, just as many Christians do today, sadly. And the frightening thing is that this is no mere Christian. This is in sacred scripture we call the Gospel of Matthew. But wait? What did I say about a multi-faceted Jesus who refused to stay in one mold? Jesus’s ministry involved him claiming to be the embodiment of Israel. Therefore if one takes Jesus’s claims about himself to be true (and that’s what after the resurrection, the disciples did), then it is a legitimate usage of scripture to quote a text about Israel and apply it to the person of Jesus, not so? We take a look at a second test case, this time on how Jesus appropriated scripture in a way not consistent with expectations of the Messiah, but fully consistent with the portraits of himself he sought to reveal to his disciples as the embodiment of Yahweh, or the new temple etc etc. Here we look at a story recorded by John in John 1:35-50. John the Baptist had already been preaching to everyone about the coming kingdom, the need for repentance and the imminent arrival of the Messiah. Therefore when he meets Jesus, he points him out as “The Lamb of God, who takes away the sin of the world” (Jn 1:29) to everyone, including his disciples. As a result, some of John’s disciples follow Jesus, and Andrew, Peter’s brother, goes to tell him that “We have found the Messiah”. This is simply in repetition of what John had already told them. Jesus proceeds to call Philip and Nathanael, and in conversation with Jesus, Nathanael again declares Jesus to be “the son of God; you are the king of Israel” (again, in line with John the Baptist’s broadcast message and expectation of the Jews). Jesus’s response is totally unorthodox, and not the kind of response that a simple Messiah will give. Here, Jesus is quoting Gen 28:12, where Jacob had a dream of a ladder between heaven and earth and angels climbing up and down that ladder. What did Jacob do when he woke up? He surmised that “Surely, the Lord is in this place, and I was not aware of it” (Gen 28:17), and so builds an alter and sacrifices to Yahweh on it, calling the place Bethel aka. house of God. What has such a weird response got to do with being a Messiah? Not much, unless Jesus is trying to say that he is more than just a Messiah – the he is the actual temple of God walking about on this earth. It is not surprising then that in the chapter immediately following this conversation (Jn 2), Jesus overturns the tables of the money-changers and calls down judgement upon the temple of Jerusalem – because he Jesus was now the temple. It is not surprising also that it had to take his resurrection before the disciples made sense of this link (Jn 2:22, quoted above). At worst a Messiah may call for cleansing and re-dedication of the temple like Solomon did in 1 Ki 7 or like Judas Maccabeus did a few centuries before Jesus. But no right thinking Messiah would call for the destruction of the temple and claim they were the replacement of it. That is political suicide, as it turned out to be. The above test cases point out some important things that modern readers of the New Testament, especially the Gospels need to pay attention to. The centuries old accusation that the 1st century Jews should have all believed Jesus’s message if they were actually minded to just because Jesus “fulfilled Old Testament prophecy” is a very simplistic accusation that we need to lay to rest sooner than later. Jesus fulfilled prophecy in his own way because he had a mission that stretched beyond simply being a political Messiah and saviour of the world. If we are quick to judge the Jews, maybe its because we ourselves are busy wearing the same unifocal spectacles that 1st century Jews wore when reading scripture – perhaps ours being the spectacles of dogmatism. Modern Christians need to shed their pious posture of thinking that they would have fared much better than 1st century Jews in terms of believing in Jesus. If Jesus’ own disciples needed the resurrection AND the Holy Spirit before it clicked what Jesus was about, maybe we need to be a bit more humble and acknowledge that many in our day will not recognize Jesus when he shows up as he did in the 1st century Judea. Incidentally, Jackson Wu just blogged last week on developing empathy so we can understand the failures of others and not repeat them, and he expresses my feeling on this issue much better than I could have put it here. Peter’s accusation that the Jews killed Jesus (Ac 2:23) is a legitimate accusation, but should not be used to prevent us from digging into the history and understanding the complexity of events surrounding Jesus’s ministry and the “fulfillment of prophecy”. Such language is normal throughout the New Testament and is a form “corporate solidarity” (thank you to Bruxy Cavey for this one). A simple example is a President or King deciding to go to war. It doesn’t matter if we participated in it ourselves, but we as citizens of that nation headed by the king/President are deemed guilty of whatever excesses happened during the war. I’ve been around enough Germans to know how this guilt works in regards to Hitler’s atrocities in World War 2, especially amongst the generation during and immediately after that war. If we are going to be a people who understand Jesus’s behaviour in the Gospels properly, as well as the Evangelist’s usage of Old Testament, or Paul’s statements of “according to Scriptures”, we need to do better than simply quoting proof-texts from the Old Testament. Here are two warnings from Richard Hays on this matter. “What would it mean to undertake the task of reading Scripture along with the Evangelists? First of all, it would mean cultivating a deep knowledge of the OT texts, getting these texts into our blood and bones” (pp 103). “Scripture was not merely a repository of ancient writings containing important laws or ideas or images; rather it traced out a coherent line that stretched out from creation, through the election of Israel, to the telos of God’s redemption of the world … One implication of this is that a Gospel-shaped hermeneutic will pay primary attention to the large narrative arcs and patterns in the OT, rather than treating Scripture chiefly as a source of oracles, proof texts, or halakhic regulations” (pp 105). In conclusion, there’s a reason why I can’t wait for the release of Hays latest work “Echoes of Scripture in the Gospels”, (coming out in a few days from now) where he applies “figural reading” beyond just the divinity of Jesus, but widens it to other major themes that the Evangelists were trying to communicate about him. The amount of lessons to be learnt in this small, 108 page “Reading Backwards” is belied by its size. Thank God for the likes of Richard B. Hays, and may his tribe increase. I pray that knowledge like his spread into the church and teaches modern Christians a little bit more humility, empathy and “appropriate” love for the Old Testament as we read the bible and see the Jesus who is prefigured in all of it, not just in places quoted by the Evangelists and other NT writers as “fulfilling prophecy”.